AAKHIL BHARTIYA ANYAY VIRODHI PARISHAD is located in Delhi Delhi . AAKHIL BHARTIYA ANYAY VIRODHI PARISHAD is registered as a Society at Delhi of state Delhi with Ngo unique registration ID 'DL/2011/0041636' . 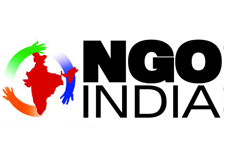 The NGO registration is done by Registrar of Societies with registration number s29248 on the date of 19-03-1996, Its parent ORganaisation is PaulFoundation. The Chairman of AAKHIL BHARTIYA ANYAY VIRODHI PARISHAD is Krishna Bahal and Chief functionary officer is Krishna Bahal. Promoters are Avneet Kaur, Chaman Lal, Subhash Kukreja and Nadeem Khan,Satish Shah.